Helen McCrory is a British actress and one of the best-known performers of this generation. She is popular for playing spectacular roles in high profile movies and television shows like The Queen, Hugo, Skyfall, Fearless, and Peaky Blinders. She also portrayed Narcissus Malfoy in the last three installments of the famous fantasy series, Harry Potter. Lady McCrory has managed to warm her way into the hearts of millions of viewers across the globe, and her fan base grows by leaps and bounds every time a new project of hers is released. Her appearances on stage, film, and TV have won her critical acclaim, as well as prestigious award recognition. Helen is considered one of the highest paid actresses in the industry. Her phenomenal acting talent ensures that she is always in demand and receives offers from producers and directors who want her to give life to the characters in their scripts. Helen Elizabeth McCrory was born on August 17, 1968, in Paddington, West London, to Annie and Iain McCrory. Her mother worked as a physiotherapist while her father was a Scottish diplomat. The nature of her father’s work meant that her family moved around a lot and she grew up in different countries. She had her early education at Queen’s wood, a boarding school located in Hertfordshire. Helen lived abroad in Italy for a year before she decided to pursue acting vigorously and ended up at the Drama Centre in London, an offshoot of the University of the Arts, London, where she began studying acting. Helen began her acting career in the theatres, featuring in small and major roles in several plays, including Trelawny of the Wells which earned her the Ian Charleston Award for her goose-bumps inducing portrayal of Rose Trelawny in 1993. Also, she was nominated for Best Actress in the London Evening Standard Theatre Award for her portrayal of Elena in Uncle Vanya. The actress has always believed in diversifying her resume, so she has also taken up roles on small and silver screens. Some of her most memorable performances were delivered in movies such as Charles II: The Power and the Passion, The Queen, Countess of Castlemaine, Interviews with the Vampire, Casanova, The Special Relationship, and Charlotte Great. She has starred in television shows like Doctor Who, Frankenstein, Fearless, MotherFatherSon, and much more. 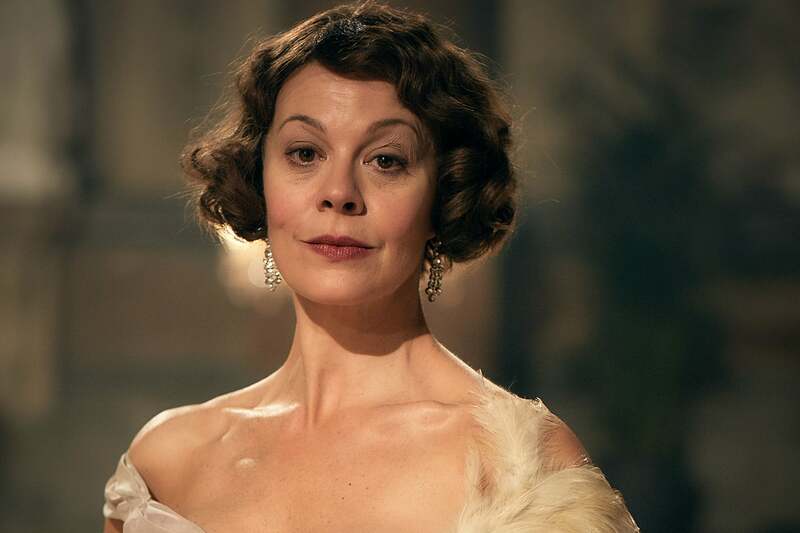 Lovers of theatre might recognize Helen McCrory from the production of The Last of the Haussmans, which was performed at the Royal National Theatre and broadcast live to viewers around the world. In 2013, Helen brought her unique vocal talent to an interactive anthology of love poems called The Love Book. That same year, she appeared at the Little Angel Theatre, in a production of Macbeth, in which she played the eccentric Lady Macbeth. The following year, she played the titular character in a production of Medea at the National Theatre, for which she received a Critics’ Circle Theatre Award for Best Actress. She guest-starred in an episode of Penny Dreadful in the later part of 2014, and her performance was so spectacular that she was written into the show as a regular. In 2016, Helen McCrory accepted to appear in the spanking new series, Fearless, as the lead protagonist, Emma Banville – a lawyer who works tirelessly to free the wrongly convicted. The renowned actress was nominated for a Laurence Olivier Theatre Award in 2006, this was for her portrayal of Rosalind in As You Like It. She was appointed an Officer of the Order of the British Empire in 2017 for her services to drama. Helen is married to actor Damian Lewis, the star of the Homeland series. The two met on stage in 2003, while they were working in Five Good Rings. The way Helen tells it, their chemistry was so instant and hot that they could have warmed their hands on the heat radiating between them. They began dating and on July 4, 2007, Helen and Damian tied the knot. The couple has two children, a daughter named Manon, born on September 8, 2006, and a son named Gulliver, born on November 2, 2007. Helen loves being a wife and mother; spending time with her family is one of the true joys of her life. Despite having been together for nearly 15 years, Helen and her husband are each other’s best friend and they’re still as hopelessly in love as they were in the beginning. Helen McCrory is the eldest of three children born to her parents. She has two siblings: a sister named Catherine and a brother named John. All three of them were pretty tight-knit while growing up and still maintain a close relationship till date. Not a lot is known about John and Catherine and their lives as adults, probably because Helen and the members of her family prefer it that way. One glance at Helen McCrory and it becomes clear how attractive and gorgeous she is. For a woman her age, she hasn’t been betrayed by wrinkles but has instead managed to retain a youthful glow. The award-winning actress is as stunning as she has ever been with her petite frame. Her body statistics are 34-24-35, for bust, waist, and hips respectively, and she weighs a decent 55 kg. The actress stands at 5 feet 4 inches tall, which is a little on the short side. Her eyes are hazel brown in color, while her hair is blonde.